Oprah Winfrey's BFF, Gayle King, opened up to ET about O, The Oprah Magazine's upcoming Year of Adventure and what that means for Lady O.
Winfrey actually tackled her first adventure of the new year a little early by hiking the Grand Canyon with King and longtime boyfriend Stedman Graham. King revealed that this was the trio's second trip to the Grand Canyon. "We went years ago in 1993, doing a shoot for the show," King tells ET. "And Oprah said, 'I didn't really get to see it then.' She says, 'I was busy working. I didn't really get to see it.'" The return trip gave King a chance to redeem herself, admitting that she had difficulty keeping up with the famous couple during their first outing 23 years ago. "I don't want to say that I'm a whiner or complainer. Those two were hiking. They were like goats," King recalls. "We had these 75-pound backpacks on, and I literally said, 'I can't do it. I can't go another step. This is hard!' So Oprah wound up carrying her backpack and mine, too." This time around it was only the heights that got to her. "Oprah really is fearless about most things," King says. "She got right on the edge and looked over. I'm the one standing in the background going, 'No! Be careful!'" Winfrey documented part of her trip on video and was brought to tears by the breathtaking sunrise during a photo shoot for her magazine. 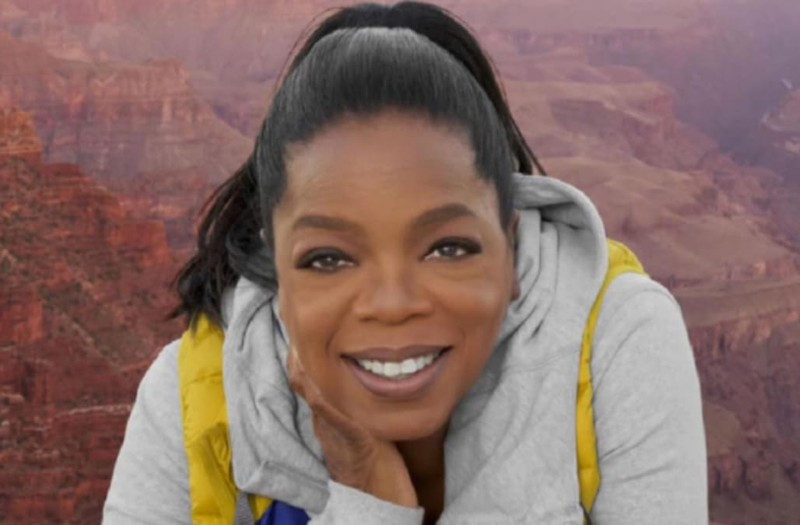 "So it's a new year, 2017, and no better way to start it off, I think, than with grandness and grandeur here overlooking the fantastic, amazing Grand Canyon," Winfrey says in a clip. "This is kicking off our great 'Year of Adventure' in O magazine, and I'm hoping it will be a year of great adventures and experiences as well." Another adventure Winfrey wants to do is go truffle hunting in Italy. "And they don't do it with pigs. They do it with dogs," King says. "So the dogs go and dig up the truffles for you. We're thinking that could be a fun thing." But if you aren't able to jet across the world in the coming year, King says there are still plenty of adventures to be had in your own backyard. "Adventures can be big and small," she says. "Adventures can be a cooking class. Adventures can be a job. Adventures can be a relationship. Adventures can be trying something that you haven't done before." The January issue of O, The Oprah Magazine hits newsstands on Tuesday.